3 Common Flexible Seating Styles - How you can get started. Flexible seating has become a highly talked about new style for updating your learning environment. There is no one-size-fits-all plan or style for flexible seating. Flexible Seating has been a commonly discussed idea within the past decade. However, each educator has seemed to view the transition to this progressive style a little differently. Nevertheless, there are some common themes you’ll find amongst most (if not all) styles of flexible seating arrangements. Lets identify commonalities you will find within each of these flexible seating styles. The need for variety: This may include a variety of heights for seating and varying textures. Desire to move items around: You will notice many new classroom items are light weight or on wheels. This provides lots of options! Let’s look at a few common flexible seating styles. Remember: While each of the flexible seating styles below have their own pro’s and con’s, the important thing is to make it your own, and create it based on your personality and your students’ needs. The Dabbler Style focuses on shifting a traditional classroom and taking small steps toward slowly adjusting the culture toward a more flexible seating approach. You’ll notice this teacher picked up a few donated couches, a folding table, and five folding chairs in a small section of the room. While this does not allow for each student to have the opportunity for flexible seating every day, it’s a wonderful start for a teacher to transition from desks to choice seating! 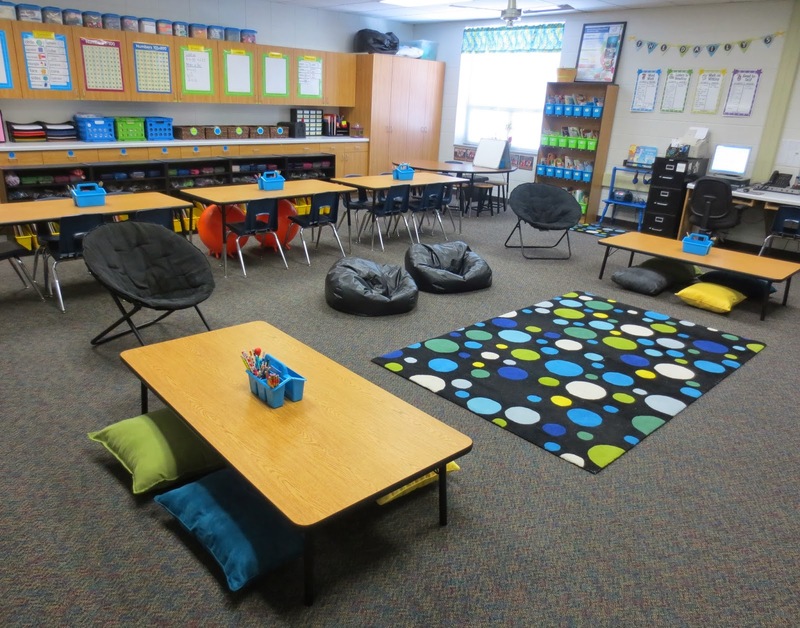 The Safe Bet Style is often adopted by a teacher looking to dive into the flexible seating option for students, but still wanting to hold strong to an organized classroom. The tables offer a variety of heights, which allow for students to sit both in chairs and on pillows on the floor. The colors in the rug match other accents in the room, and the room has a clear front for full class instructional times. The Extreme Style is always fun to explore! 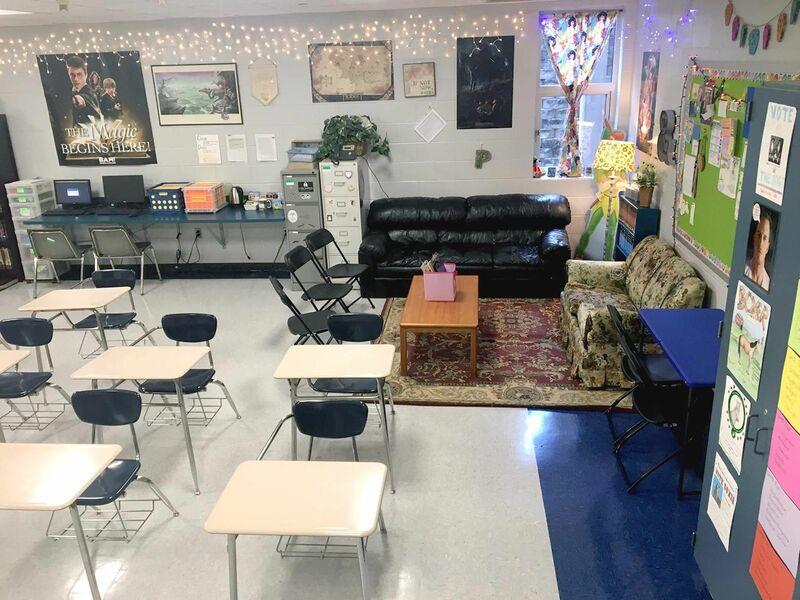 These are often the “Pinterest worthy” classrooms that inspire educators to take steps toward transitioning to their own flexible seating adventure. You’ll notice a two important things in this classroom that look different than the others. There are a variety of heights and seating options, and the classroom is divided into separate sections specific to certain types of learning and engagement. Here, you can assume items were collected from a variety of spaces. 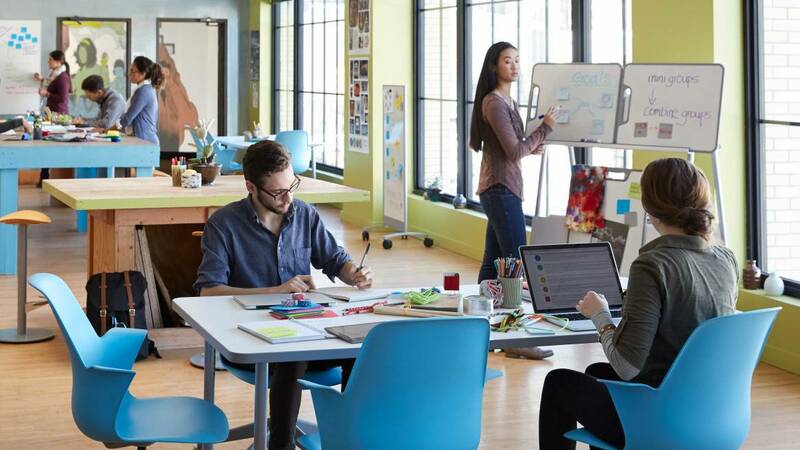 From www.SteelCase.com – Awesome office furniture. While exploring flexible seating, teachers may choose to collect funds a variety of ways. However, one way may be through a grant by an educational furniture manufacture. With the support of a company, a classroom’s flexible seating options can get very innovative! Between rolling chairs with a space for books below, to hand-held whiteboards for any occasion, and wiggle stools to allow for movement throughout a students learning – a furniture manufacture can offer a variety of high-end products. Recognizing there are always pro’s and con’s to any classroom remodeling, this can be a win-win for both your classroom and the company as they can market their products and your students can enjoy the benefits of updated classroom seating. No matter your flexible seating style, take on the challenge of stepping into the future of our classrooms! Rae Hughart is a Middle Level Math and Writing Educator in Illinois and the Director of Training and Development for Progressive Mastery Learning, LLC. In 2017, Rae was honored with the Illinois State University Outstanding Young Alumni Award – inducting her into the University Hall of Fame.